Experience the joy of listening to soulfully performed piano music with a difference. Discover the brilliance of a pianist who revels in touching your deepest emotions. Discover how every note can tug at the heart. How every stroke of a piano key can be like thrive of a brush on a melodious canvas of musical image….. Discover SD the Pianist. . . . . . . .
My Self SD Pianist is really brilliant Pianist in presenting my solo recital that includes popular music of various festive generous, western classics, Strauss Waltzes, Melodious Hollywood and Bollywood tunes interplay with iconic classical and Latin ones. •	Performed live Rock Style Music on Piano at Rock Bottom Café. Bur Dubai, DUBAI. •	Performed at Le Café, Abu Dhabi. UNITED ARAB EMIRATES. •	Performed at HOLLYWOOD CAFÉ, DUBAI. UAE. 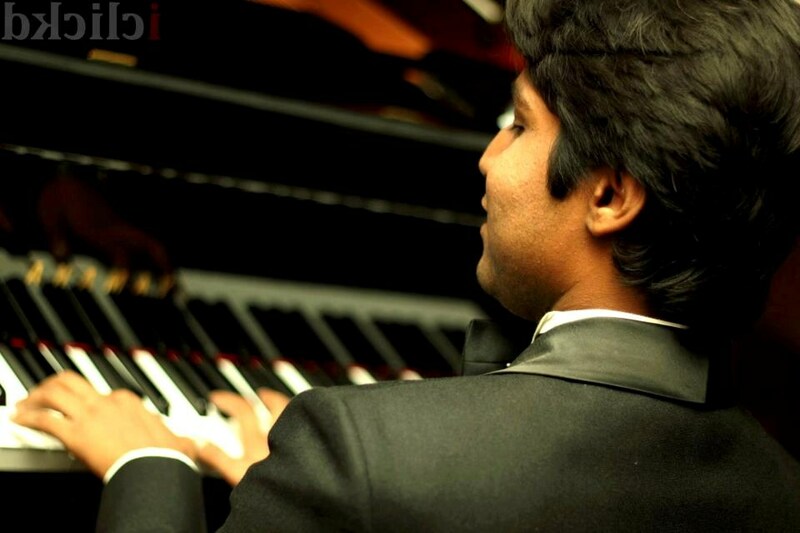 •	Experience of working with Hyatt Group of Hotels in Hyderabad as a lobby pianist. •	Experience of working with The Oberoi Group of Hotels, Performing in Wildflower Hall, Oberoi & Cecil Oberoi Hotels & Resorts, Shimla. •	Experience of working with heritage hotel The Elgin Hotels & Resorts (Darjeeling) as a Lounge Pianist. •	Experience of working as Lobby Pianist in a luxury heritage hotel, The Nor-Khill Hotel, Sikkim. 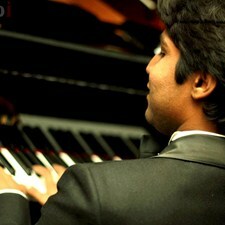 •	Previously working for St. Laurn Towers & St. Laurn Hotels Ltd. Ahmedabad (Gujarat) as a Lounge Pianist. •	Employed by Genesis Event Redefining Music & Entertainment, Kingdom Of Bahrain & DUBAI. •	International work experience by performing for Ramee International Hotel. Kingdom Of Bahrain as Pianist. •	Excellent in performing American Classical, Jazz, Blues & Most famous music from all over the world. •	Performed on All India Radio (Air) Bombay in 2005 as Pianist. •	SD has been playing Grand Piano in various festivals such as American food festival, Chinese food festival, Goan food festival, Delhi food festival and Delhi festival. SD’s performances have been highly applauded by music lovers at cultural events hosted by renowned painters, multinational organizations and cooperates, NRIs or Diplomats. SD has an excellent knowledge of music. He also plays Flute and Guitar very well. Experience the joy of listening to soulfully music composition with a difference. Discover the brilliance of my Music composition who revels in touching your deepest emotions.